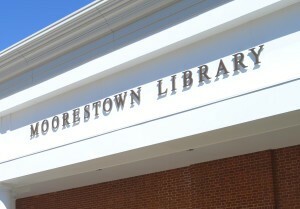 The Moorestown Library is having a number of summer reading for young students. Preschool age children are invited to participate in the Preschool Summer Reading Game. Pick up your activity sheet beginning June 13, complete at least 10 of the activities and return it between August 15 and September 30 for a prize! Children entering kindergarten and first grade may participate in the New Readers Summer Reading Game. Pick up your reading log beginning June 13 and list the books you read throughout the summer. Read one book each day at home and return your reading log between August 15 and September 30 for a special prize! Children entering grades 2–6 may join the Children’s Summer Reading Program. Read books throughout the summer and come to the library to tell us about them beginning June 22. Participants may report on up to 3 books per day through Saturday, August 13. Children who report on 5–9 books will win a prize from the grab box. Children who report on 10 books or more will win a Barnes & Noble gift card. The more you read, the bigger the gift card! THE LAST DAY TO REPORT IS SATURDAY, AUG. 13. YOU MUST READ AT LEAST 10 BOOKS TO EARN A BARNES & NOBLE GIFT CARD. PRIZES WILL NO LONGER BE AVAILABLE AFTER SEPT. 30! Summer Reading is for everyone! The library is committed to providing a positive experience for everyone. If your child has special needs, please contact Miss Jen (856) 234–0333 x5 about how we can tailor the program.